The brave new world of global finance is getting braver. Real-time and near-real-time payments systems have changed the very fabric of online commerce. More than 30 countries have real-time payment processes of some kind already, several of which have been in use for decades. So why is the U.S. just now getting onboard? There are many reasons other countries already have new payment platforms in place, like Faster Payments in the U.K. or Singapore’s FAST electronic funds transfer service. One of those reasons is the sheer number of our financial institutions compared to the rest of the world — the U.S. has roughly 5,300 commercial banks and more than 6,000 credit unions. Another reason is our complicated regulations process. 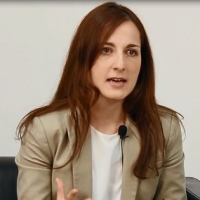 A big standout at the 2016 Money20/20 conference was “Balancing Blockchain Public Policy: Thoughtful Regulation Without Stifling Innovation.” A panel of experts compared the U.S.’s complicated regulatory system with the more efficient system in place in the U.K.
One of the panelists at last year’s conference was John Beccia, who is general counsel and CCO of the blockchain-based, person-to-person payments provider Circle. Beccia explained how Circle became licensed as a money transmitter in all 50 U.S. states over the course of two years, while it only took 90 days in the U.K. One reason was better communication channels with the U.K.’s Financial Conduct Authority (FCA). But the bigger reason was the U.S.’s complex regulatory process: We have 50 regulators (one in each state) plus more than 20 federal agencies that all need to provide approval in order to implement a real-time payments restructuring. The U.K. has one single agency. This efficient FCA approval process gives the U.K. the advantage. By August of last year, the FCA evaluated 177 startups for approval, and 40 of them were given the green light for further consideration. Many in the financial world consider the European Union’s Payment Services Directive the gold standard in real-time payments technology because it allows providers to access account data from banks in seconds. Now known as PSD2 after a wave of improvements, this upgraded version replaces 2007’s PSD and is designed to stay ahead of, or at least parallel to, the constantly changing world of payment technology. The majority of Europe is already onboard with these streamlining banking upgrades as well, with countries like Spain, Denmark, Sweden, Poland, and the Netherlands putting real-time payments services into practice nationally. Switzerland isn’t on that list because the Swiss National Bank has been ahead of the curve since 1987 when it introduced its 24-hour payment-processing SIC system and revolutionized the world of pre-internet banking. One area that remains unclear is the effects of Brexit on PSD2. British policy could go in several directions, such as re-joining the European Economic Area or the European Free Trade Area, both of which would allow the UK to remain somewhat close to the rest of Europe. Alternatively, the UK could deal with the EU via WTO rules, entering into bilateral agreements with the Union as they would with any other foreign state. On the other side of the globe, China’s mobile and digital payment market was the largest in the world, at $1.83 trillion USD in 2016. Most of that activity comes from just two companies: the Alipay system from Alibaba Group and its biggest rival, Tenpay from Tencent Holdings Ltd. Their competition is especially intense because credit card use is more limited in China. Hundreds of millions of smartphone users and businesses make payments from their phones, and China’s transition to more cashless payments will likely have far more to do with mobile devices than credit or debit cards. Along with the introduction of Singapore’s FAST payments system in 2014, the country also hosted the Singapore FinTech Festival, pulling together 11,000 attendees from more than 50 countries in 2016, with another festival scheduled for this coming November. The Monetary Authority of Singapore (MAS) looks poised to be a major force in pushing real-time payments across Asia. Japan has had their Zengin System running near-real-time payments for years, and even that’s about to get an upgrade. SBI Ripple Asia recently announced the creation of a consortium of 42 member banks that will use Ripple’s new round-the-clock blockchain technology for payments and settlement. And the rest of the industrialized world has already implemented or started implementing fast-payment systems, including Nigeria, South Africa, Brazil, Chile, Mexico, India, and Australia. U.S. person-to-person payments users are expected to grow to 126 million by 2020, with non-banks like PayPal, Square, and Venmo leading much of the charge. The World Economic Forum estimates that 80 percent of banks are currently developing blockchain projects. And, as of right now, 19 of the biggest financial firms in the U.S. all signed on for a new person-to-person payments network called Zelle, including JPMorgan, Bank of America, Morgan Stanley, and Wells Fargo. This new cryptocurrency platform will replace the earlier bank-owned clearXchange system set up in 2011. And with a projected 76 million mobile users, they’re hoping Zelle will rival PayPal’s Venmo and start providing banks with a bigger piece of the peer-to-peer pie. Industry leaders FIS and The Clearing House also launched a nationwide real-time payments system during the first quarter of 2017, which could garner up to $1.1 billion in revenues. Both banks are also members of the Federal Reserve’s Faster Payments Task Force Steering Committee, which will soon start evaluating new approaches for implementing real-time payments across the country. 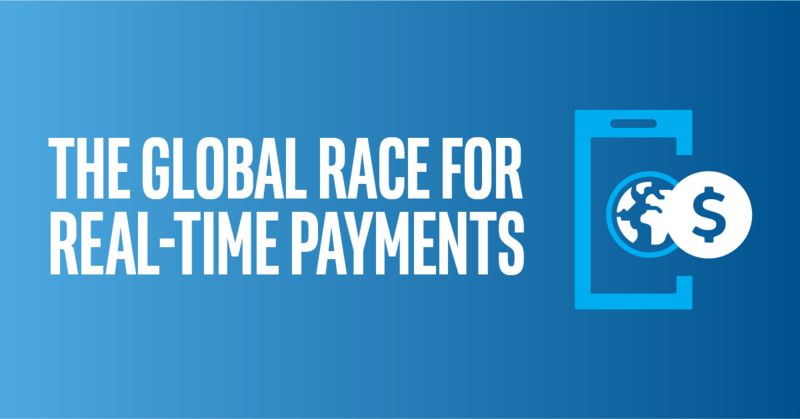 Yes, the U.S. is a little late to the global real-time payments party, but that’s mainly because we’ve got a lot more hoops to jump through before ideas become reality. But, we’re finally adapting to this new financial landscape and catching up to other parts of the world. To explore how Intel is helping transform the world of financial services, visit our financial solutions hub today. Previous article:Digital Transformation Is Not A Technology Makeover. It’s A Business Revolution.